Get pampered and ready with me! Hi guys! I’ve had a pretty busy few weeks so I thought that today I would relax and take a little time to focus on myself. I took inspiration from Carli Bybel and started by making myself a smoothie to make me feel good on the inside. 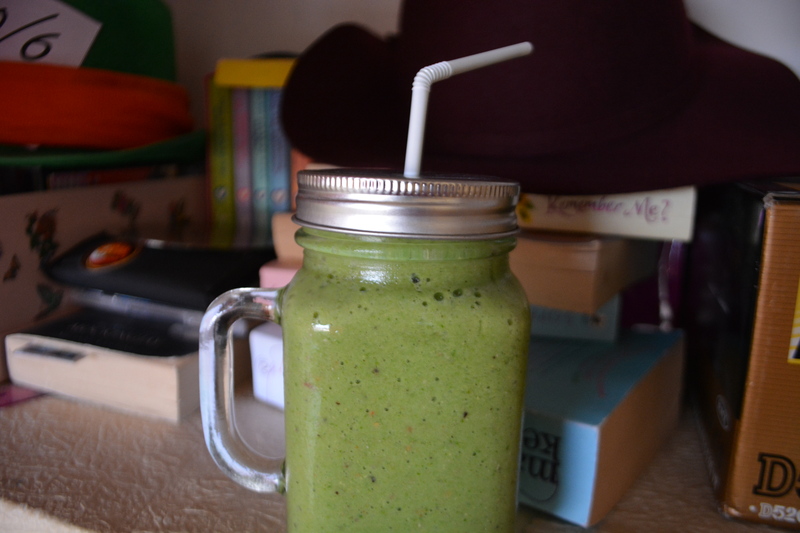 For this I used frozen rhubarb, one banana, one kiwi, a ton of spinach, a splodge of honey and a little bit of milk and water to make it creamy but not be just dairy. Sometimes I use unsweetened soy or almond milk but I wanted the calcium today sooo yeah. 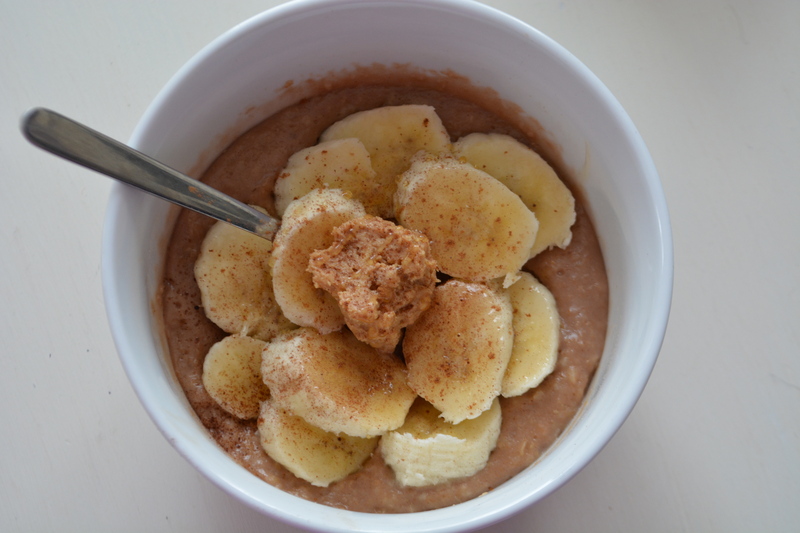 It tastes super yummy and refreshing so is great first thing in the morning or any other time when you need a little pick-me-up. 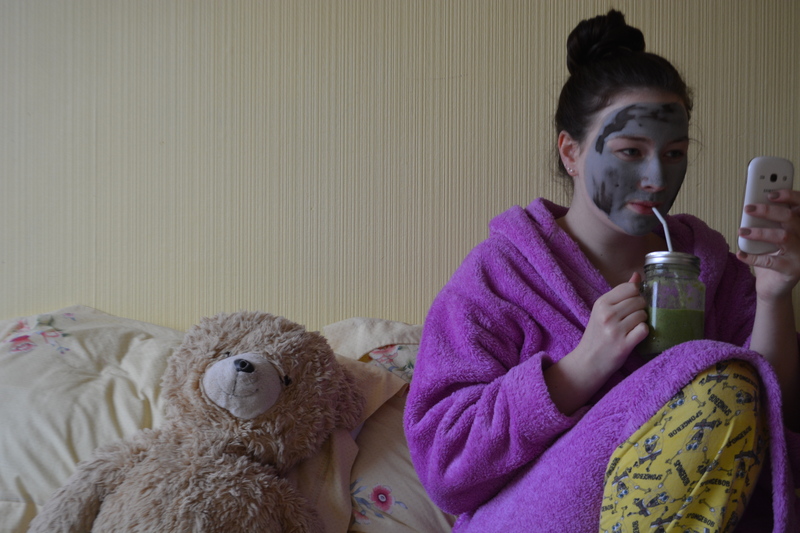 I then used the Herbal Essences Bee Strong hair mask and my fave Avon Pore Penetrating Mineral Face Mask and sat on my bed with my big fluffy dressing gown on whilst I let them do their magic. 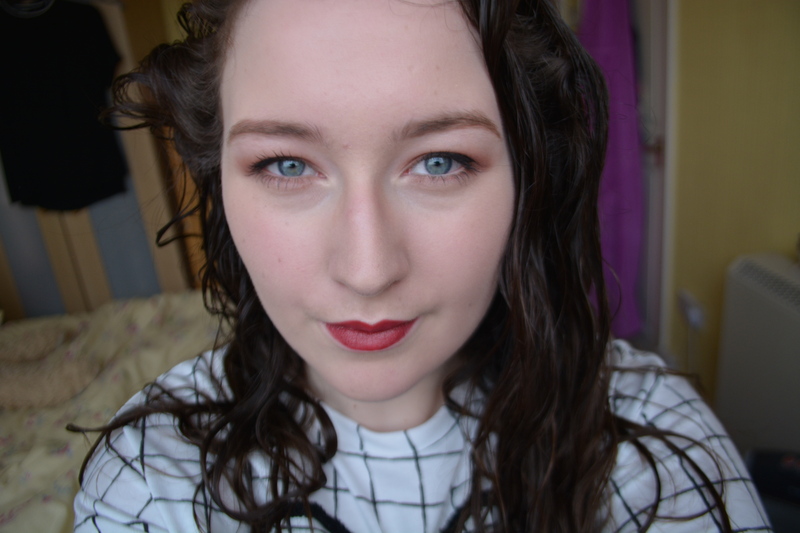 I like to catch up on any missed blog posts or youtube videos during this time, at the minute I am really loving this baes blog (and her new hair). See? There I am, chilling. 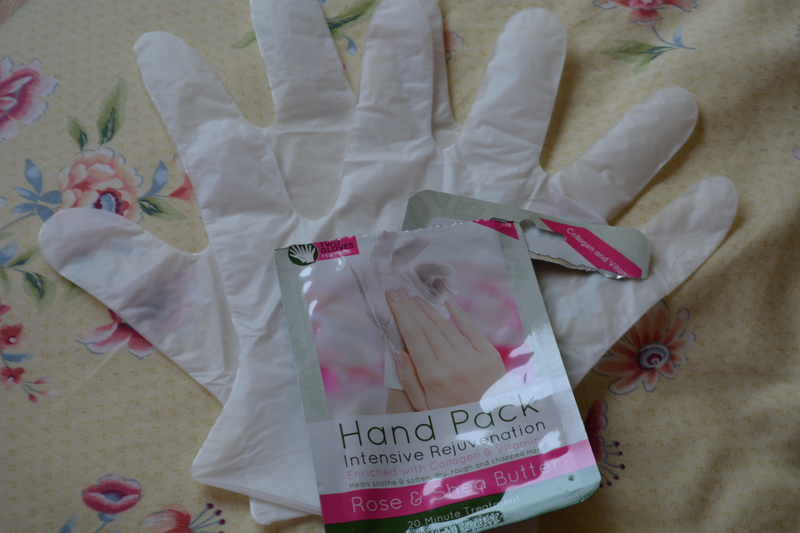 After washing off my face mask I used this hand treatment that I found for 99p! You just leave the gloves on for 20 minutes et voila! I just rubbed in what was left on my hands and then rinsed off the excess because I had been rubbing my hands for ages. 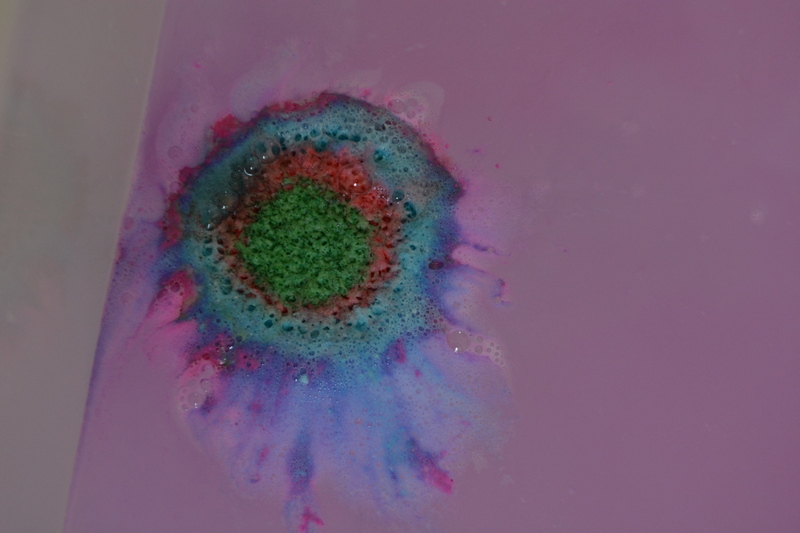 I decided to use the last purchase from my lush haul which is the “Granny Takes A Dip” bath bomb. I’m gonna miss smelling this every time I open my drawer. It is so ‘citrusy’ and spicy, I could eat it. 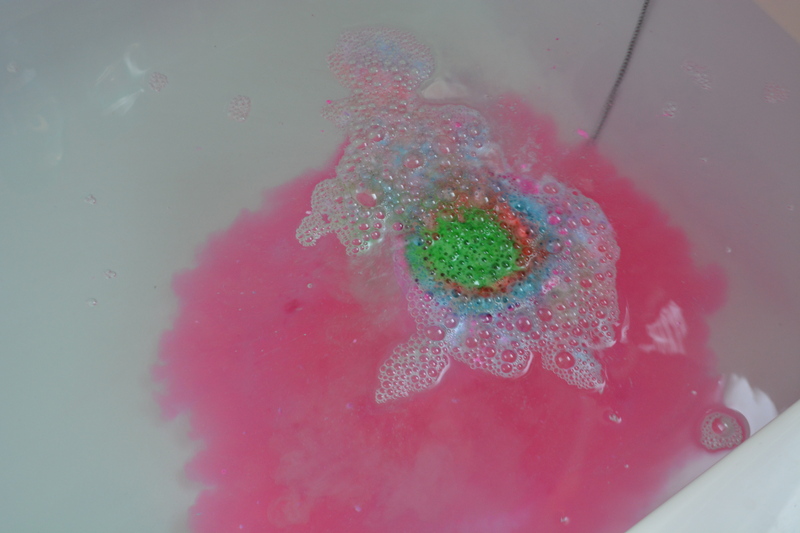 It also looks amazing as you pop it into your bath, the colour literally explodes, however my bath just looked pink rather than a mix of the different colours. 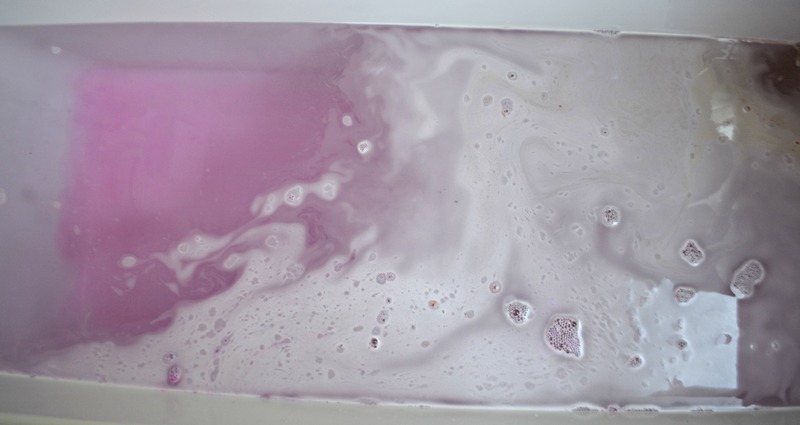 Its still super lovely and makes my skin feel amazing though! I then tidied up my eyebrows and put my make up on before drying my hair and throwing it up into a bun. You can hardly see my eye shadow here but I will put a picture up on my insta if you want to see my make up on a worse camera but not as washed out. 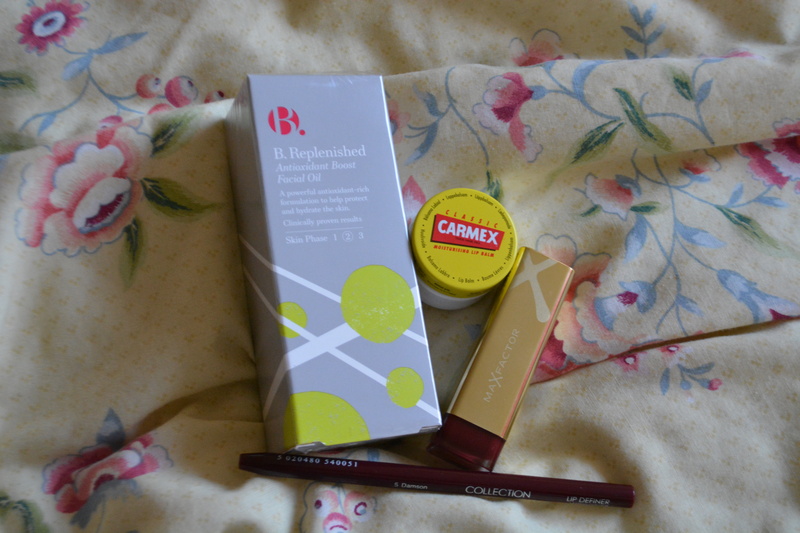 I then took a little trip to the shops and bought some things for Christmas so lemme just show you them real quick. 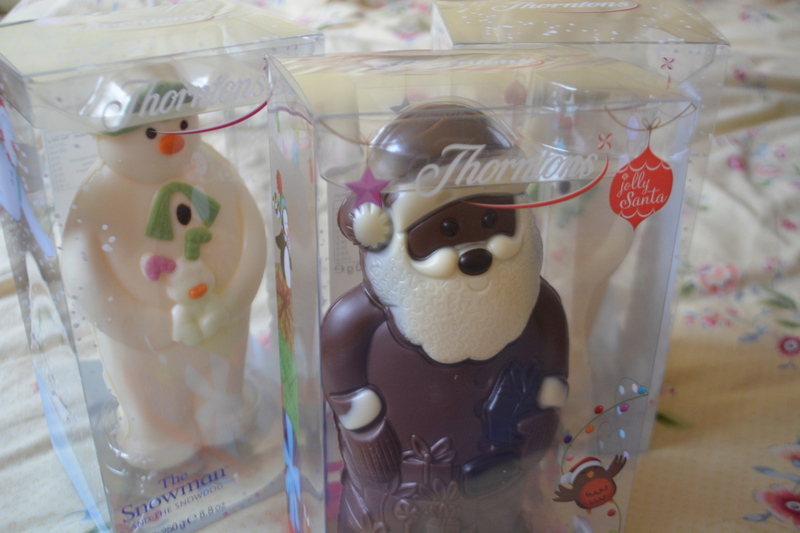 I got 2 big snowmen and 1 santa from Thorntons to go with peoples gifts, they were half price AND on 3 for 2- so £10 all together!!! 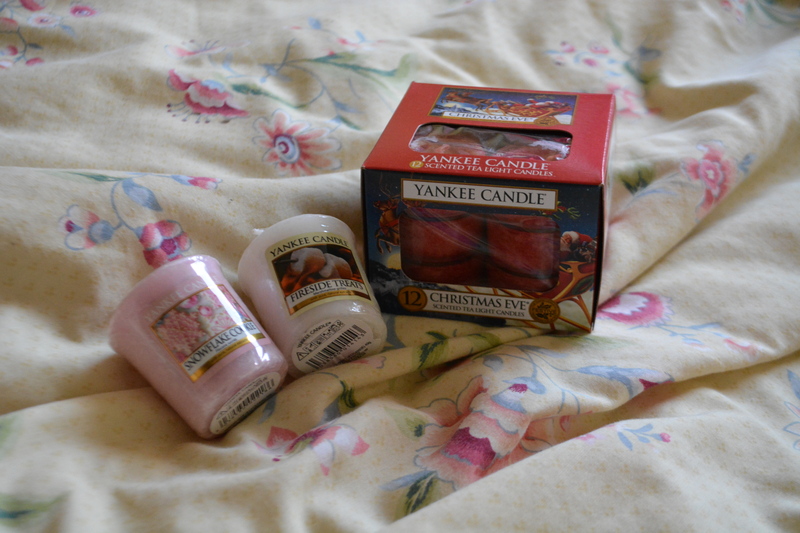 I then got my Mum some tea lights to give her them on Christmas Eve and then two samplers for my room. 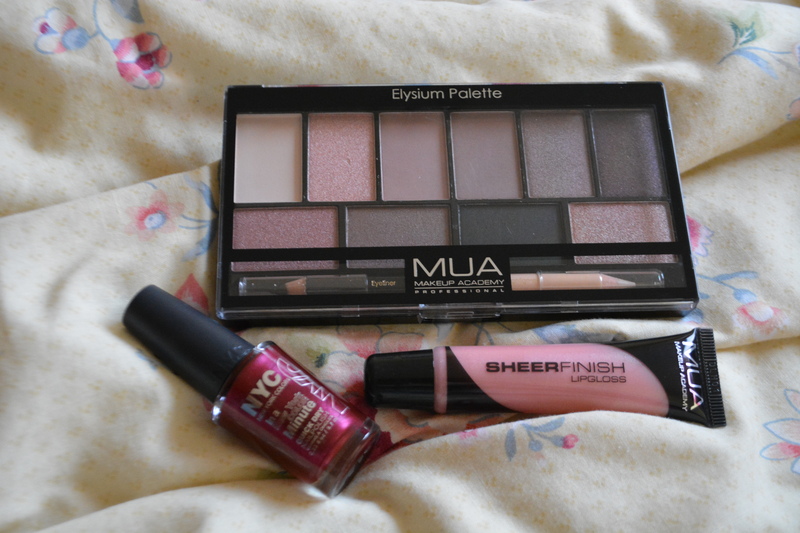 Then I picked my cousin up some make up for her to play with as she’s only 12 but being related to me she loves make up. I have the Heaven & Earth palette from MUA and the pigmentation is amazing so I thought that she would love this. And since everything was on 3 for 2 I bought myself some early Christmas presents. I will probably review the B. Replenished facial oil, I think that it will be my saviour with this cold weather but we will see! 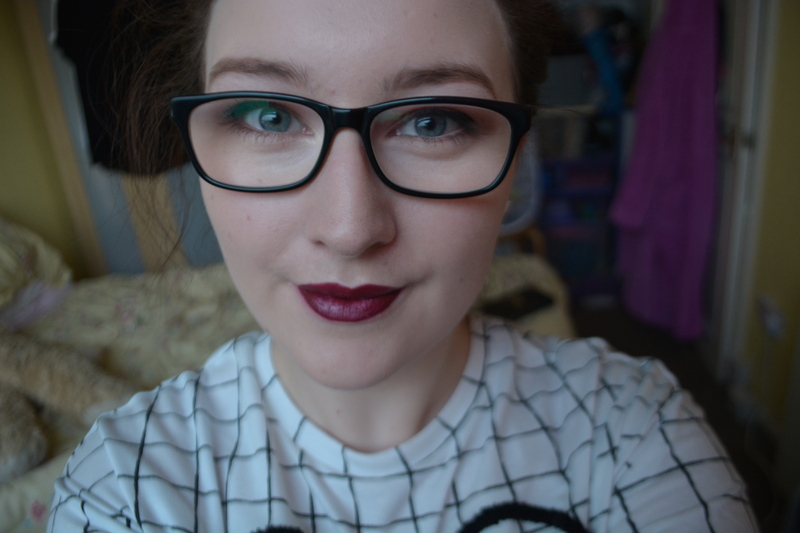 This lip combo is so vampy and dark, I have a feeling I am going to wear this all the time in winter. Its like the perfect amount of purple and red. 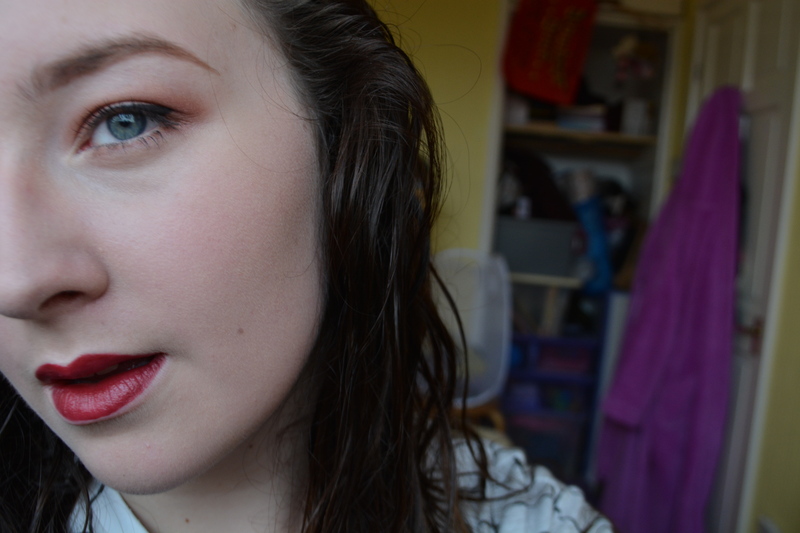 If you want to recreate this it is, Max Factor “Mulberry” lipstick and Collection “Damson” lip liner. And that is about it! I am just going to go for my singing lesson now and just chill later on and watch I’m a Celeb- I also bet my Mum that Gemma would go out in the first week, she owes me a pound. Goodbye for now little buns!